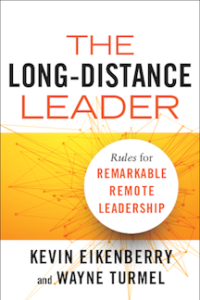 Hope you enjoy the best bites and my takeaways from Kevin Eikenberry’s new book, The Long-Distance Leader: Rules for Remarkable Remote Leadership. 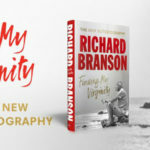 – the book:The Long-Distance Leader: Rules for Remarkable Remote Leadership is Kevin Eikenberry’s latest contribution to the business conversation. It’s a timely topic as more organizations are comprised of remote workforces and virtual teams and more leaders are required to lead people from a distance. – the brains:Kevin Eikenberry has consulted organizations such as the American Red Cross, Cirque du Soleil, and Southwest Airlines on leadership, learning, teamwork, and communication, and he’s most well-known for his Remarkable Leadership blog and podcast. I met Kevin when he interviewed me for the launch of my new book FUSION and I’ve enjoyed getting to know him and his work ever since. – the best bits:The Long-Distance Leader begins by introducing The Remote Leadership Model, which is comprised of three “gears”: leadership & management, tools & technology, and skill & impact. Kevin then explains the “Three O Model of Leadership,” which outlines “the three areas of focus all leaders must recognize and use to reach their maximum success”: outcomes, others (people), and ourselves. 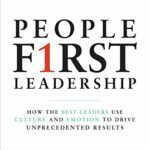 The book then delves into the remainder of the 19 “Rules for Remarkable Remote Leadership,” such as “Think about leadership first, location second,” and “Building trust at a distance doesn’t happen by accident;” and explains how to follow them in three main sections. Along the way, Kevin serves up his points through scenarios and stories. Leading at a distance is still leading. Check in, don’t check up…the difference between the two is often perception. Leading remotely requires influence more than command. …We suggest modifying the Golden Rule into the Golden Suggestion — to lead others in the way that works best for them makes sense. It’s a suggestion because you will never be 100 percent sure what works best for them. …What we believe about ourselves dictates how successful we will be. And our beliefs are formed and reinforced by how we talk to ourselves. 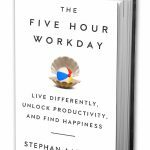 When you ask questions about what is important to you, and answer honestly, you will begin to see that the barriers to managing your time are mostly of your own construction. In a remote and dispersed workplace, if you don’t define and assess the culture you want, you may wind up with something completely unintended. – the bottom line: The Long-Distance Leader is clearly written by someone who has spent years consulting with organizations and executives — it is well-organized and easy to follow, uses tons of frameworks and bulleted lists to make the content easily digestible, and includes “Pause and Reflect” questions and links to downloadable tools at the end of each chapter to help you apply what you’ve just read, In other words, this book is the instruction manual for instituting or improving a remote and/or virtual workforce at your organization.